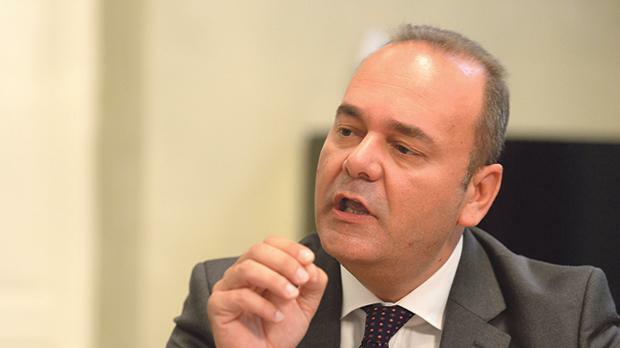 Any requests for further information on a trip Economy Minister Chris Cardona made to Monaco should be withdrawn, the Times of Malta was told. The ministry’s permanent secretary, Nancy Caruana, said the information sought by Times of Malta had already been submitted to the National Audit Office and further details were given through parliamentary questions. “The ministry has already been observed and scrutinised by the National Audit Office and there is nothing further to add to [the NAO’s] exhaustive report and the parliamentary replies,” she said. “For all the above-mentioned reasons, you are kindly requested to desist from proceeding with any further action and to withdraw and retract any requests already filed in connection with the above [the trip to Monaco]”, Ms Caruana insisted. The Auditor General noted in his report his office was unable to verify the expenses made by the minister during the trip because documents were “misplaced”. Times of Malta subsequently sent a series of questions to the ministry in terms of the Freedom of Information Act. It asked for a copy of the itinerary drawn up for the one-day visit over the weekend, a copy of the hotel’s invoice and a copy of the telegraphic transfer of money to pay for accommodation, which, according to the NAO, was made prior to the minister’s departure. The Audit Office had found that apart from €2,666 being paid for accommodation, including breakfast, the minister had claimed another €2,003 to cover “extras” at the hotel. “The NAO could not identify the reason for these claimed expenses,” it said. Times of Malta has now asked the Data Protection Commissioner to look into the matter and to instruct the ministry to reverse its decision and supply the requested information. Dr Cardona’s solo trips abroad, however, were classified as being official government business. Apart from Monaco, the minister had also travelled alone for meetings in the Ukraine and Russia during the end-of-year holiday period, between December 29, 2014 and January 8, 2015. No information was given on the purpose, even if it was publicly-funded. Dr Cardona has insisted he travels alone “not to waste money”. The Office of the Prime Minister has so far also refused to publish reports which, according to practice, ministers are bound to submit to the Cabinet Office after every official mission abroad.